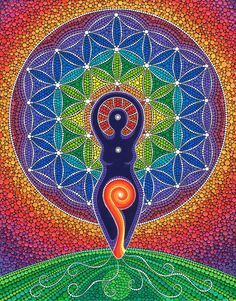 Artist: Elsbeth McLean "Goddess of the World"
Women have gathered in circles for centuries. Women would sit in Circle to connect, celebrate, heal, transform and create together, for the benefit of themselves as well as their community. Michelle Rowland facilitates her own unique style of Sacred Circle, with the intention of creating a safe and sacred space for women to harness the power of group energy, giving them the opportunity to walk away feeling loved, nurtured, supported, connected and empowered. It is precious time for women to give something valuable to themselves by taking time out from their busy lives to fill their own cup with the deeply nurturing, creative, healing and transformational energy that is available within this special space. Sacred Circles for Women creates an opportunity for women to be part of a supportive and nurturing network, where they can connect deeply with themselves and other women. Each Circle is unique, and offers women a place where they can both give and receive support and wisdom from other women. Within this Sacred space, you are encouraged to explore your own inner truth and wisdom, as well as your relationship with your body, mind and spirit. For more information, check out Frequently Asked Questions. Michelle's passion is to empower women to re-connect with their own source of inner truth and wisdom, by awakening them to their power, and connecting them deeply with their body, mind and spirit. 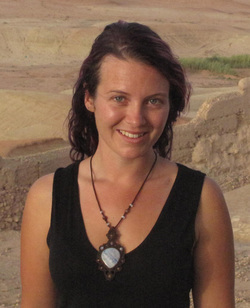 As a qualified Kinesiologist, Wellness Coach and Reiki practitioner, Michelle is continuing her professional development by currently studying a Bachelor of Health Science in Naturopathy. Michelle believes that all women have the potential power to create, heal and transform themselves and be positive and inspiring role models within their families and communities. In order to activate that potential, women need to feel safe to simply be themselves in all of their light, shadow, chaos and raw emotion... without the fear of judgement from others. When women are seen and heard, in their vulnerability and authenticity, something magic happens to them... they reclaim their power, and start to feel better about themselves!